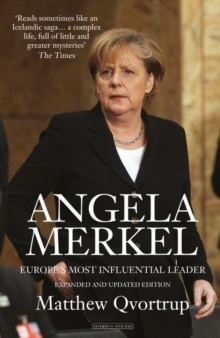 The illuminating and in-depth biography of Angela Merkel, using exclusive new sources and research to tell how the daughter of a clergyman from East Germany rose to become one of the most powerful women in the world. 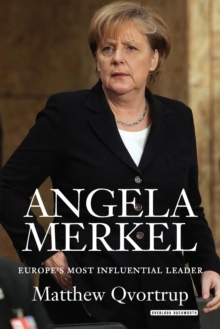 This is the fascinating tale of Angela Merkel's political ascent, in which she outmaneuvered her male colleagues and made Germany the strongest economy in Europe. With the storytelling gifts of a novelist, as well as nuanced political expertise garnered from over a decade of experience as an academic and journalist, Matthew Qvortrup gives readers unprecedented, personal insight into Frau Merkel's upbringing under communism, describing how the Secret Police tried to recruit her as a spy, how she lived as a squatter in Berlin, and how she went from distributing leaflets to sitting at the Cabinet table in Helmut Kohl's government in less than a year. This is the story told for the first time in English of how Merkel and her staff of mostly female advisors repeatedly outsmarted the old boys network of conservative male politicians in Germany, turning her country into a more liberal and more prosperous place. 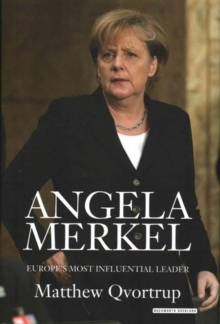 Angela Merkel Europe's Most Influential Leader combines the narrative of Merkel's life with a vivid account of German history from 1945 to the present day, featuring cameo appearances by Willy Brandt, Konrad Adenauer, and Helmut Kohl. At a time when Merkel is the chief representative of the West in the negotiations with Putin over the Ukraine, she is also the woman who holds the keys to British membership of the EU. Anyone interested in our time, in the politics of today, should read this lively account of the woman with a doctorate in quantum physics who has become the undisputed queen of Europe.